If you have anything to do with creating websites or blogs over the last 10 years, you are most likely familiar with Photobucket. For those that are not familiar, Photobucket has been the go to website to host images online that would be embedded into your website. It was quick and easy to use, you could get any sort of embed code that you needed. So much so that many major websites including Amazon, eBay and Etsy, were using the platform due to it’s reliability. This week Photobucket, without warning their customers, changed their terms of service, removing 3rd party hosting of images (which is what their user base primarily uses the service for) requiring an upgrade from free plans, to $400 per year if you wanted to continue to use the service. 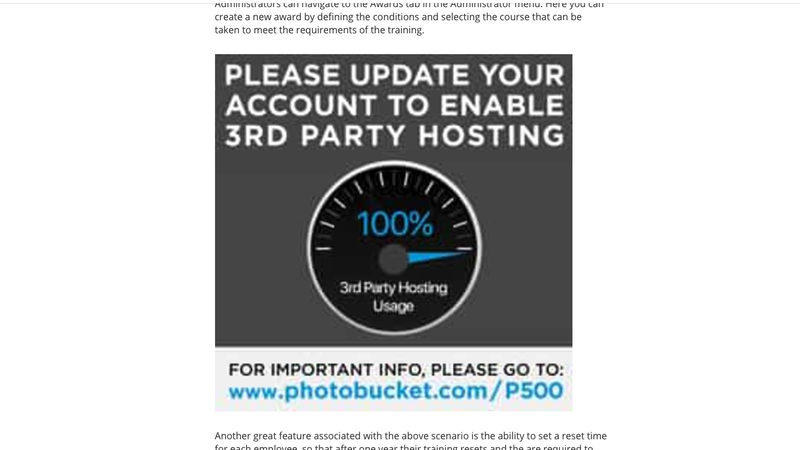 To add insult to injury Photobucket didn’t just show their users images as broken, they replaced them with huge banners asking users to “Please Update Your Account to Enable 3rd Party Hosting”, as shown in the image above. Now this $400 per year jump in pricing might not impact your bigger players, but when the majority of your users are bloggers or small businesses who have years worth of content with their images removed and replaced with banners, this is a hostage situation that they cannot afford. Yes, Photobucket has plans that start from only a few dollars per month, but to re-enable your 3r party hosting, the cheapest plan is $400. The alternative, spend days/weeks going through years of blog posts and replacing every single image. Don’t get me wrong, working how to monetize a product is hard at the best of times, and any business will tell you that you will make many mistakes before finding the correct balance between product and pricing, but this was not the correct way to go about it. Yes, your images are safe, but that’s not going to help you replace them all in your blog post or cough up the cash to save yourself some time. What are the lessons from this we can all take away? Don’t hold your users content hostage. EVER. Updating your pricing structure is a inevitable. Thing will happen to force change and you will need to adjust accordingly, but there are a right and wrong way to go about things. Make sure that you inform your users that there will be an update to your pricing structure well in advance. At least 1 month’s worth of notice, giving users time to prepare for any changes that they may need to make. Let your users know what the update will entail. This way they can start planning for an upgrade if needed, and they won’t have to scramble on the morning that the new structure kicks in. From zero to $400 per year is quite a jump. Make sure that you provide a reasonable option for users to upgrade that is affordable for everyone. Remember that retaining half of your users for a lesser price is better than losing 3/4 of them for nothing! In this case, replacing images with oversized banners was something that did not need to happen during this process. Just removing the images would have been the simple solution. Think about how your update may effect your users and will your actions remove any chance of you being able to retain them. As i’ve said, it is hard to get monetizing a product right. You will get it wrong several times before you get it right, but you can be smart about how you make updates. Businesses need to make money to survive, and are constantly under pressure to cut costs and drive revenue. I completely understand why Photobucket too the actions that they did, it’s just that the execution was poorly handled. Photobucket will live to fight another day as they have major customers that can afford to pay for their services, but there are some great lessons that we can all take from this update, and how to, and more importantly, how not to go about making an update that effects the majority of your users. Want to talk about your experience with monetizing your business? Hit me up on Twitter for a chat!